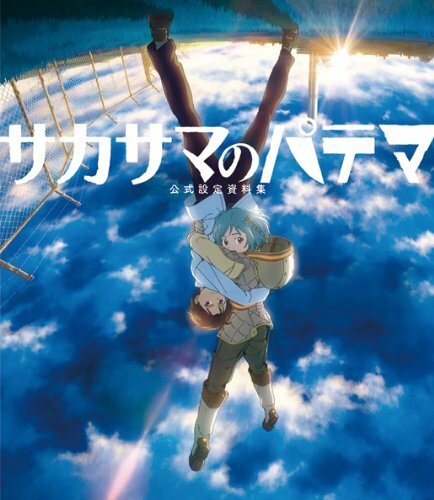 Patema Inverted (サカサマのパテマ) is a Japanese anime film directed by Yasuhiro Yoshiura (吉浦康裕) that was released in 2013. サカサマのパテマ 公式設定資料集 is the official design companion for the film. It's 136 pages. It collects the character designs, environment art and storyboards. Character designs are for the main cast plus some for the people underground. I like the environment art, the derelict feel of the underground village, but they are somewhat printed a bit dark. Interviews with the chief animation director Daisuke Mataga (又賀大介), video director Kumiko Otani (大谷久美子), character designer Ryusuke Chayama (茶山隆介), costume designer Annindouhu (杏仁豆腐), art director Yuji Kaneko (金子雄司), CG director Syuichi Akui (安喰秀一), Akira Yamaoka (山岡晃) and Michiru Oshima (大島ミチル) for the music, producer Mikio Ono (小野幹雄) and production producer Ryosuke Inagaki (稲垣亮祐). There are plenty of (Japanese) commentary throughout which I feel is the highlight of the book if you want to learn about the design and making of the film. And because of that, this book would probably appeal to those who have already watched the film.